The vastly influential musician Prince has died alone at his home in Minnesota at the age of 57. Police were summoned to his Paisley Park estate early on Thursday and found his body in a lift. The cause of death is still uncertain, though it is widely known that the artist suffered from a very bad case of influenza. A post-mortem investigation will take place to clarify the cause of his death. Prince's innovative music spanned rock, funk and jazz selling more than 100 million records during his career. Hundreds of fans gathered outside Paisley Park. US President Barack Obama said the world had lost a "creative icon". Born Prince Rogers Nelson June 7, 1958, in Minneapolis, Minnesota, he was a child prodigy, self-taught on a number of instruments, from piano to guitar, bass and drums. He released his debut album, For You, in 1978, followed by Prince (1979), Dirty Mind (1980) and Controversy (1981). Each of them was laced with his trademark deep synth funk, a sound he constantly refined until his breakthrough came in 1982 with the double album 1999. Spurred on by the success of this album, he persuaded Warner Bros. to fund a film - Purple Rain (1984), a loosely autobiographical story of a struggling musician from a broken home.The film spawned some of his most memorable songs, two of which, "When Doves Cry" and "Let's Go Crazy" went to #1 on the Billboard singles chart. The psychedelic pop of his next album, Around the World in a Day (1985), alienated some of his fans, but spawned a classic single, "Raspberry Beret". Prince continued to confound mainstream expectations with Parade (1986), featuring the hit song "Kiss", and 1987's Sign o' the Times. He continued to make forays into the movies and 1990's Graffiti Bridge - a sequel to Purple Rain - was nominated for five Golden Raspberries. The hits also kept coming. Then, in 1993, he announced he was retiring and changed his name to an unpronounceable symbol - designed to depict both male and female genders. He soon became known (somewhat mockingly) as "The Artist Formerly Known As Prince". The move was meant as a protest against his label, Warner Bros. Prince wanted to own the master tapes to his own songs and to be allowed to release more material. Relations between artist and label deteriorated to the point where he appeared with the word "Slave" written on his face. He did release five more records with Warner, as his contract bid him, before signing with Arista Records. By the early 2000s the symbol was no longer relevant and he reverted back to his original name. But his record sales never recovered. 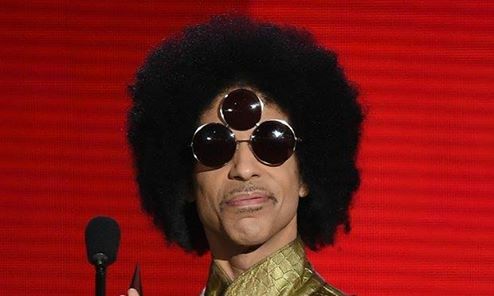 Prolific until his final days - he was working on yet another new album and played shows in the US just last week - the 57-year-old was said to have a cache of unreleased music in his Paisley Park mansion that would fill 100 records!